The 135-room, four-star Copthorne Hotel at Culverhouse Cross, Cardiff, is the gateway to the beautiful countryside, coast and market towns of the Vale of Glamorgan. It plays host to business meetings and conferences throughout the year and its gym, leisure suites and restaurants are always busy as a popular venue for relaxing Vale residents. Diners at the AA Rosette-winning Raglan’s Restaurant enjoy the tranquil surroundings of the hotel’s bar and restaurant, and can share a drink on spacious lakeside terraces as they leave behind the urgencies of the city. 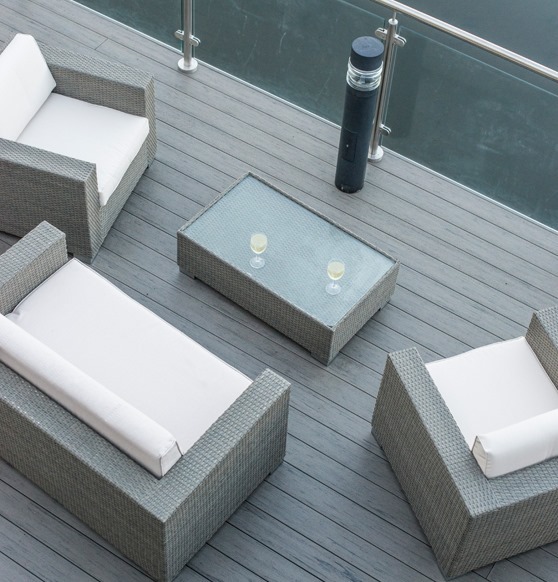 We knew that the Copthorne Hotel’s relaxed style would be a perfect match for our EasyClean Terrain+ Silver Maple decking. 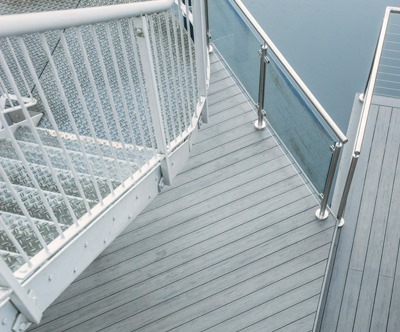 These boards provide a distinguished and durable surface that is ideal for commercial business applications, where style and serviceability are essential. 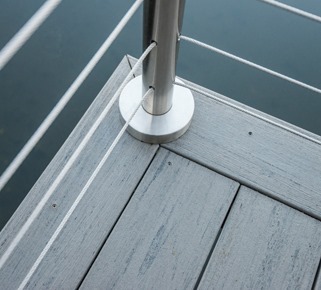 After initial consultations and design/planning meetings with key hotel staff, 134 square metres of our market-leading deck boards were installed to the highest specification by TimberTech’s in-house installation team, who made sure that the deck fully complemented the special surroundings of the lakeside terrace and its unique ambience. 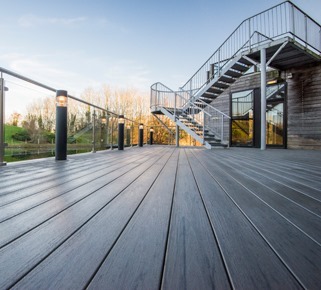 Our photographs show the incredible difference that was achieved when TimberTech’s EasyClean Terrain decking replaced the hotel’s previous wooden decking. Our ten-year commercial warranty will ensure that the Copthorne Hotel staff can concentrate on what they do best – providing great service for their visitors and guests – for years to come. 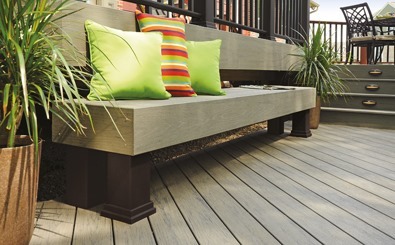 TimberTech’s EasyClean Terrain decking has a protective polymer sleeve that’s resistant to the elements and accidents that every deck endures. An additional 25-Year Fade & Stain Warranty provides total peace of mind. 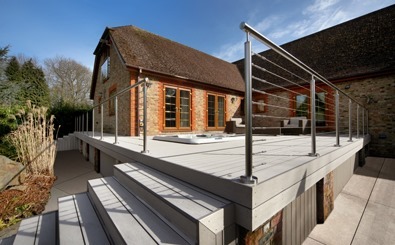 TimberTech’s decking is the perfect solution for commercial customers seeking both durability and elegance. 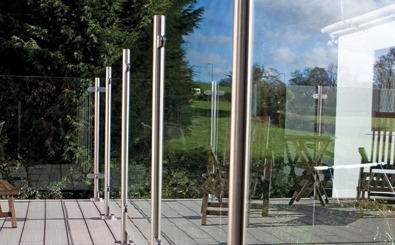 Give us a call on 029 2080 3756 to request a quotation for your own commercial project – whether you’re based in Cardiff or elsewhere in the UK, we’d be more than happy to hear from you.